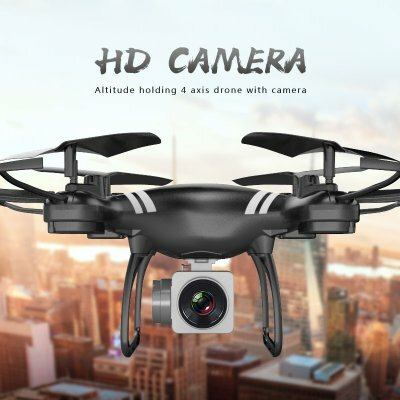 Successfully Added Mini Camera Drone KY101 - Camera, Smartphone App, One Key Takeoff, Landing & Return, Altitdue Hold, Headless Mode to your Shopping Cart. Enjoy advance features with one key takeoff, landing and return. Headless flight control makes this drone easy for beginners to master. Altitude hold and six axis gyroscope help you shoot steady footage as you fly. This mini camera drone is perfect for use indoors and out. If you're wanting to get into aerial photography or are looking for an affordable camera drone the KY1010 mini quad copter is an ideal choice. With its six axis gyroscope, headless flight control, and altitude hold it makes flying and filming easy. At the touch of a button this quad copter will take off or land all by itself and thanks to altitude hold you can keep the camera steady while filming. All these features make it great for the drone beginner and ensure and easy and enjoyable drone experience. Headless flight control means the drone is oriented by the remote so no matter which way its facing your controls are the same. So if you can't determine the orientation of the drone from the flashing LEDS don't worry, the headless flight control will align the drones movements to relative to the controllers position so if you push forward the drone will go away from your and pushing the joystick towards you ensures the drone will travel towards you. There is also a one key return which brings the drone directly back to you should you need. This mini quad copter comes with a detachable camera that can snap photos or capture video in 640x480 resolutions. Its compatible with Android and iOS devices via the FYD-FPV app. This lets you see the live feed of the camera so you get a first person view of the flight as though your sat onboard the drone. The KY101 mini camera drone comes with 12 months warranty, brought to you by the leader in electronic devices as well as wholesale quad copters and camera drones..